Bringing teams to the United States are just part of the Council's work to further enable sales to the Japanese market. The U.S. Grains Council (USGC) utilized Market Access Program (MAP) funds to promote U.S. corn-based ethanol in the Japanese market with the potential of up to 1.3 billion gallons of U.S. ethanol use if an E10 blending level is achieved. Currently, Japan uses 217 million gallons of fuel ethanol per year. Historically, the Japanese market favored Brazilian ethanol at the expense of U.S. ethanol because of outdated greenhouse gas (GHG) emission reduction calculations. The Council worked closely with the Japanese Ministry of Economy, Trade and Industry (METI) to revise its biofuel policy issued in April 2018. 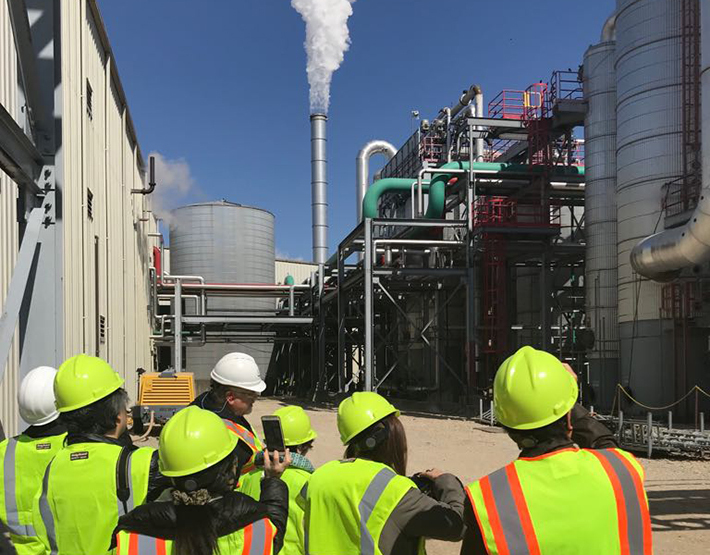 Using information provided by the Council, METI will allow U.S. corn-based ethanol in the market based on technological advancements that raised the GHG reduction level of U.S. corn-based ethanol. The new policy calls for an increase in the carbon intensity reduction requirements of ethanol, used as a feedstock, to make ETBE (an ethanol-based fuel oxygentate) to meet a 55 percent reduction (up from 50 percent). It recognizes corn-based, U.S.-produced ethanol’s ability to meet that goal, even with the higher GHG reduction standard. Japan will now allow U.S. ethanol to meet up to 44 percent of total estimated demand of 217 million gallons of ethanol used to make ETBE, or potentially 95.5 million gallons of U.S.-produced ethanol annually, with an estimated value of $38 million. The Council worked closely with Japanese stakeholders throughout this process and provided critical updates on the U.S. bioethanol industry – in particular, technological advancements that improved the GHG emission reductions of U.S. corn-based ethanol – to METI via a committee of experts who discussed the outlines of new policy. As a result, the market for U.S. ethanol is open as of April 2018. The Council invested $450,000 of MAP funds in this work over a two-year period, creating a return on investment (ROI) $84 per $1 invested.